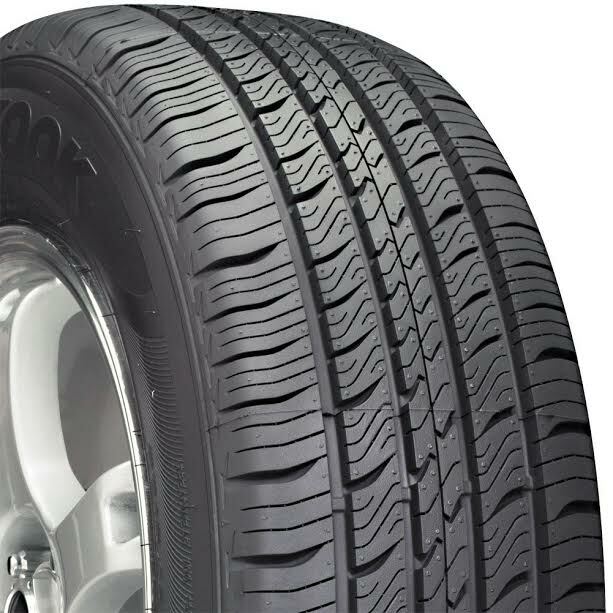 You should consider Hankook Optimo H727 if you are looking for a set of all-season tires that does not break the bank. A set of all-season tires makes an excellent solution if you don’t want to change your car’s tires every winter. It is also a safe and reliable solution for various weather conditions. No matter if you drive on a hot road on a sunny day or you blast through the rain, the ideal all-season tires should give you constant, uncompromising performance. This is where Hankook Optimo H727 stands out from the rest of the competition. Unlike other so-called all-season tires that struggle in snow, Hankook Optimo H727 can move through the crystallized white without much problem. Hankook Optimo H727 is also very durable and wear-resistant, hence a huge value for the money. The internal structure of Hankook Optimo H727 consists of two extra-wide high-tensile coated steel belts that are flexible yet durable. The flexibility from these steel belts allows the tire to absorb road shocks for smooth, quiet ride and crisp, precise handling. There is also a reinforcement belt with a full nylon cover that functions to maximize the tire’s road contact, hence improving handling and high-speed stability. Meanwhile, on the tread surface, you can find a solid centerline rib with converging lateral slots, four circumferential grooves, and high-density sipes. The solid centerline rib and converging lateral slots work together to improve driving feel, stability, and ride comfort, whereas the grooves and sipes are made to quickly and effectively evacuate water from the footprint. The design also creates lots of biting edges, which are needed for real, dependable snow traction. The sidewall of the tire is also very sturdy and durable. The sidewall has been crafted from a special compound that has been specially formulated to resist abrasion, cracking, aging, and ozone, and the shape has also been optimized to be able to bend in order to reduce the tire’s stressing for improved ride comfort and life time. Hankook Optimo H727 has been made specifically for on-road usage, so it is not suitable for off-road terrains. For usage on the road, the performance is outstanding. It is a true all-season tire. The performance is reliable in all seasons and weather conditions. It is definitely a very good choice for touring. It is very quiet and smooth. It has great traction and steering, allowing you to corner confidently. It is not exactly made for high speeds, but it is pretty stable and reliable if needed to run fast. In rain, the traction remains great and stable. There is virtually no problem of hydroplaning, as the tire works very well in disposing the water out. But the thing that surprises people the most is Hankook Optimo H727’s great snow traction. The high-density sipes are certainly very effective in serving their purpose, as the tire can move through snow pretty effortlessly. • Sidewall shape optimized to bend to gentlyreduce stress and improve ride comfort. • Sidewall compound that has been specially formulated to resist ozone, aging, abrasion,and cracking. • Reinforcement belt with nylon full cover to improve high speed stability andto maximize the tire’s road contact for enhanced handling. • Two extra-wide high tensile coated steel belts give the tire flexibility to absorb road shocks and crisp handling. Check the best price of Hankook Optimo H727 here!